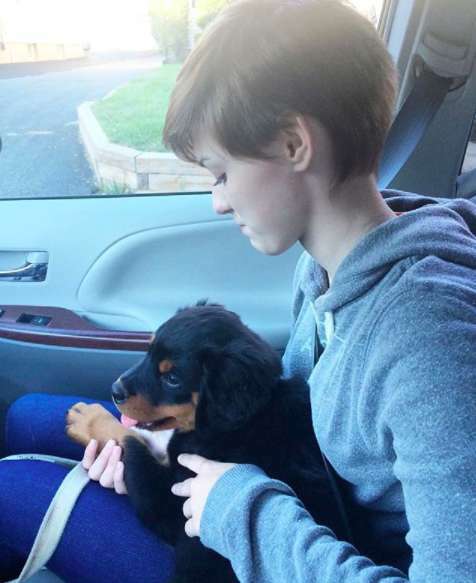 The Flanagans were planning to extend their family with an adorable little Rottweiler puppy. After all, the amount of love and happiness a pup brings into the home is just simply indescribable. Mom, dad and the kids were absolutely thrilled to get a Rottweiler, but there was one person who wasn’t too keen on the idea at all. 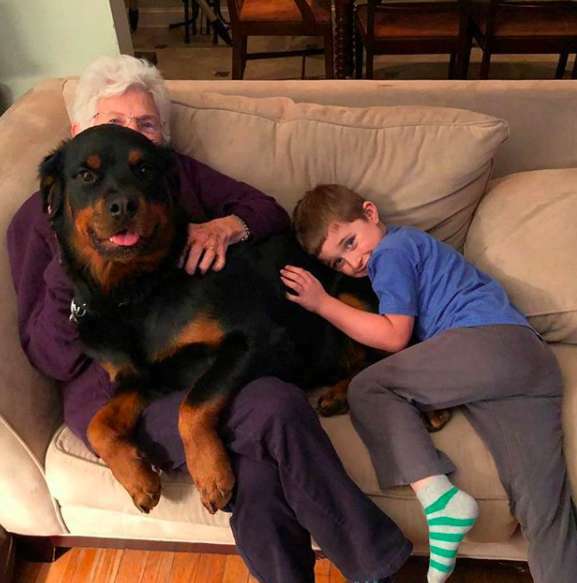 80-year-old grandma, who everybody calls ‘Grammy’, was afraid of large dogs. 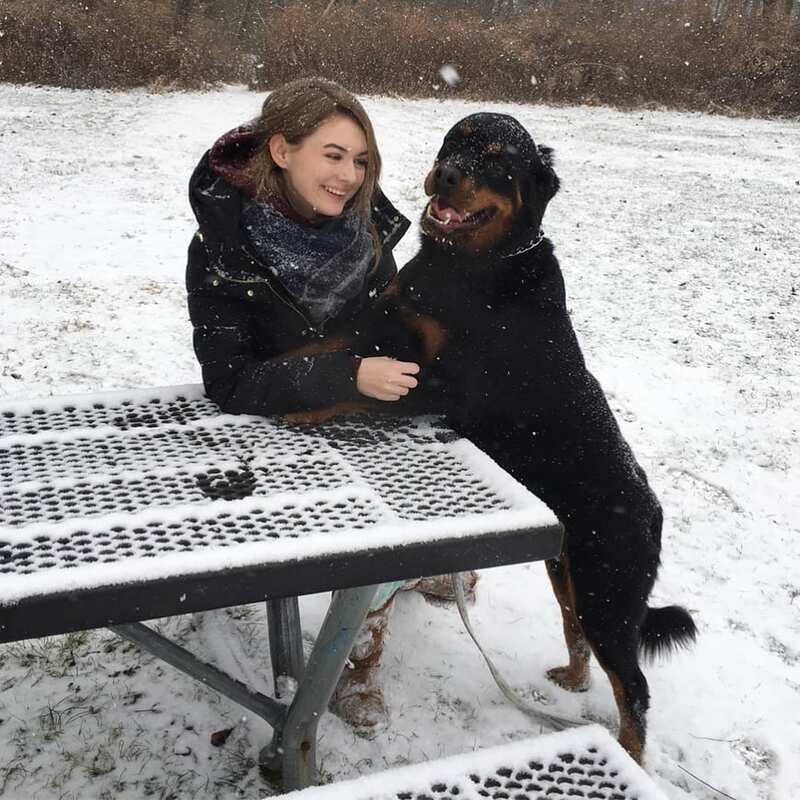 “A Rottweiler? 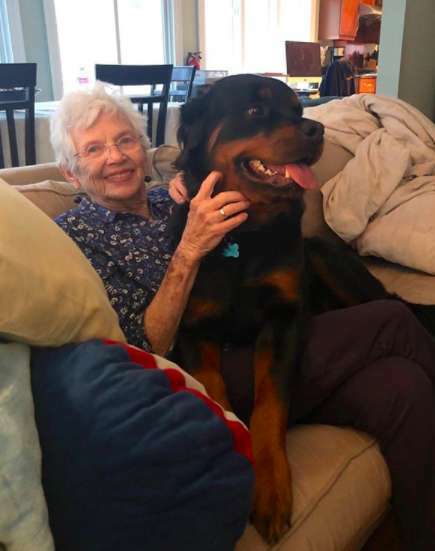 Well, I must admit I have always preferred lapdogs,” Grammy said when she heard about the pup. 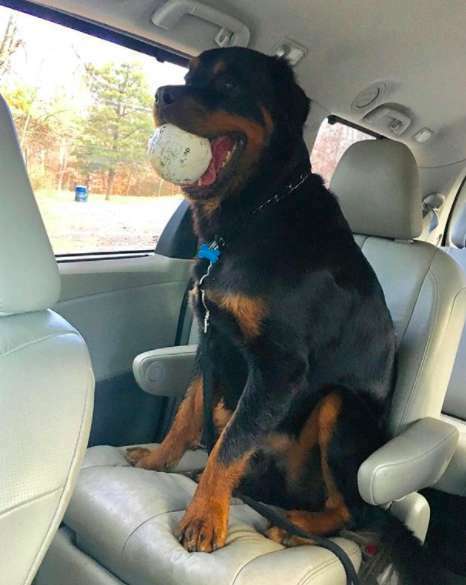 Of course, this adorable pup was still just that – a puppy – but everybody knew that the Rottweiler would soon grow to be a pretty big canine. However, dad Mike figured that the two would eventually get along, and he was absolutely right. “Grammy likes her peace and quiet and she likes her space,” Flanagan said. “They would not seem the best fit, but we were all surprised how quickly they took to each other. Grammy quickly taught Gus he was allowed up, but only if she invited him,” Mike mentioned to The Dodo. Of course, Gus was still quite small. 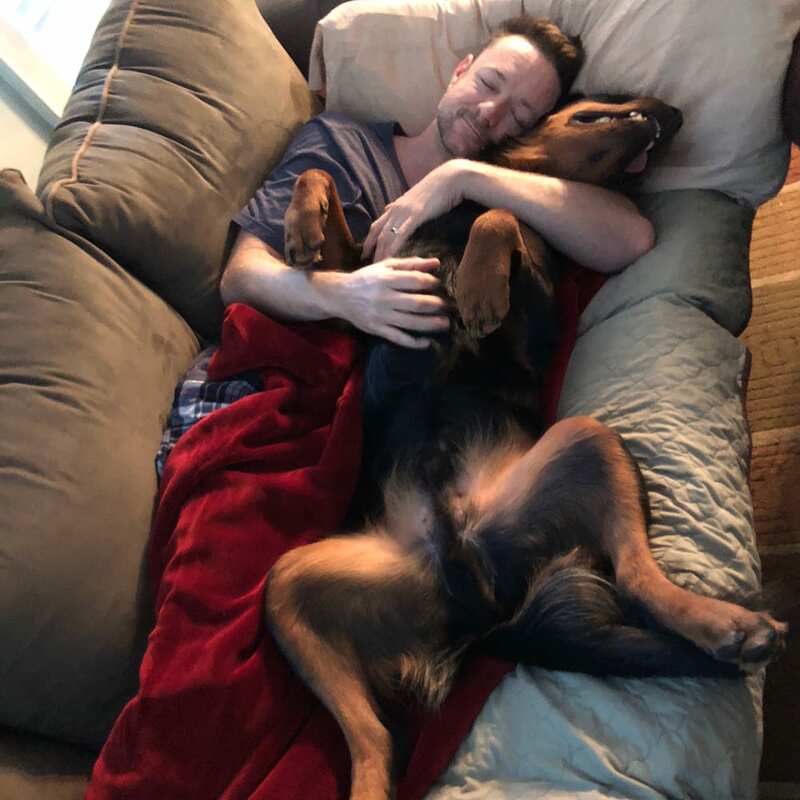 It didn’t take long before this Rottweiler grew out of his puppy phase. With the scale registering at almost a hundred pounds, Gus certainly wasn’t a pup anymore! 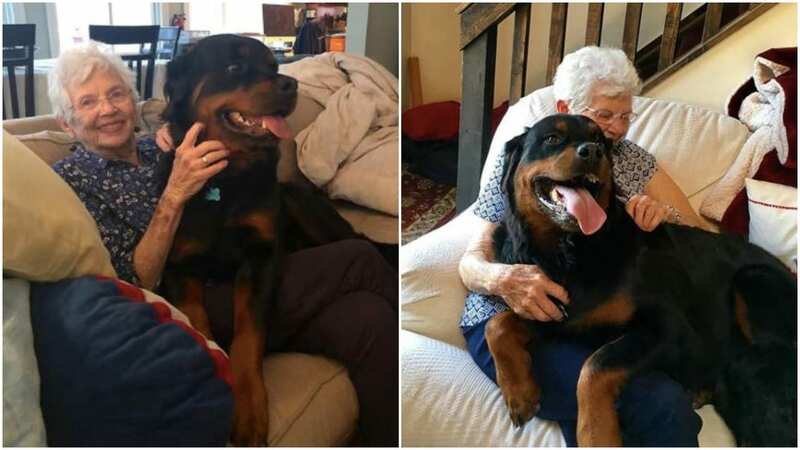 Right now, Rottweiler Gus and Grammy are absolutely inseparable, even though Gus has since grown into a huge dog. In the months that passed, Grammy’s husband sadly passed away. 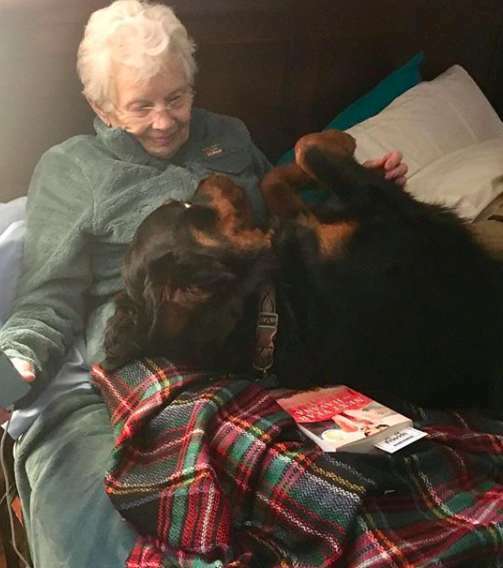 Grammy could find plenty of support and love in her new best friend, who was more than happy to provide her with some attention and love. He even sleeps by Grammy’s bed and follows her everywhere she goes. The two had formed in an incredible bond. “When my wife said, ‘Mom, Gus sure does love you.’ Grammy casually replied, ‘We have a thing,’” Flanagan added. 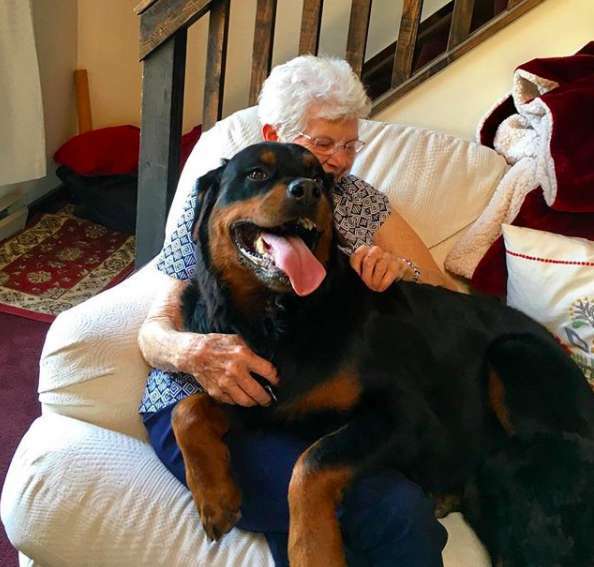 Even though Grammy didn’t like the idea of a large pup at all, things have certainly changed. And as you’d expect, Gus is just a super sweet and large animal who loves to cuddle with everyone in his neighboorhood. He’s a lovely, active and joyful four-footer who enjoys going on adventures with the Flanagans. Gus has become the best friend of everyone in the house. 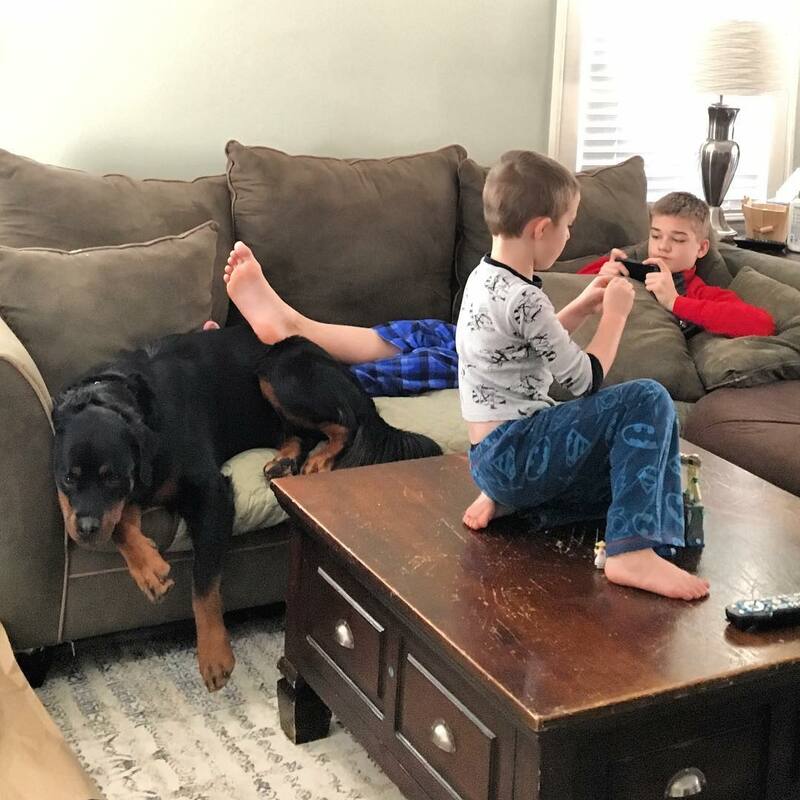 The sons love hanging around with him and doing more adventurous stuff, while the four-footer loves having cuddle sessions with the family’s little girl. The dog even helps Mike’s wife with her panic attacks. And as for Mike himself, a dog is simply a man’s best friend. 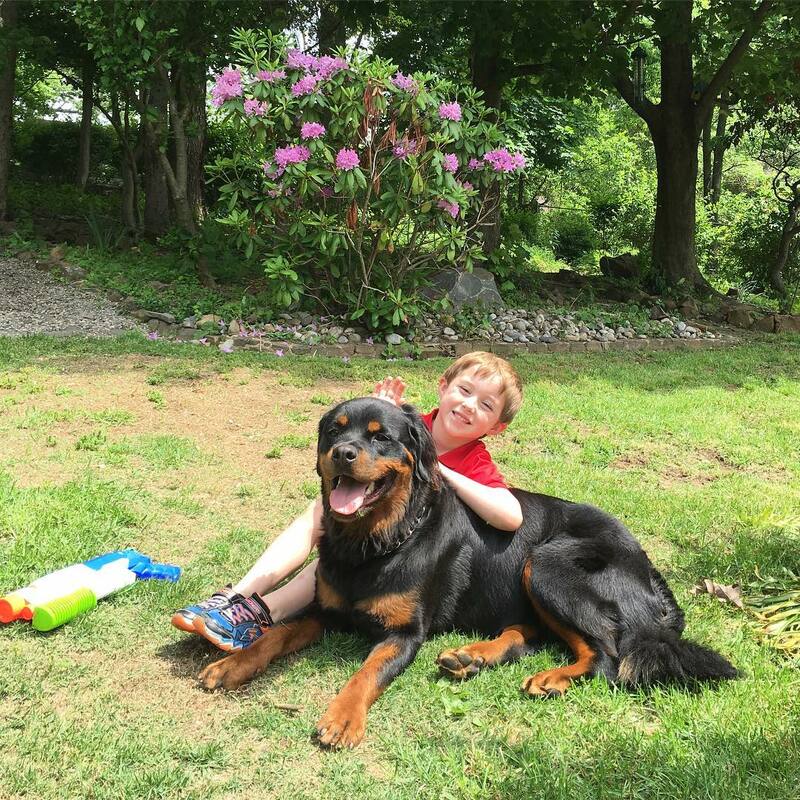 The family calls him a ‘certified loverbutt’, and Gus even has his own Instagram page where they’ve already shared hundreds of pictures and videos of the adorable four-footer. He’s quite a bit of a celebrity on the social network with over 10,000 followers and counting! Whenever Gus comes to visit Grammy, these two instantly fall into each other’s arms. 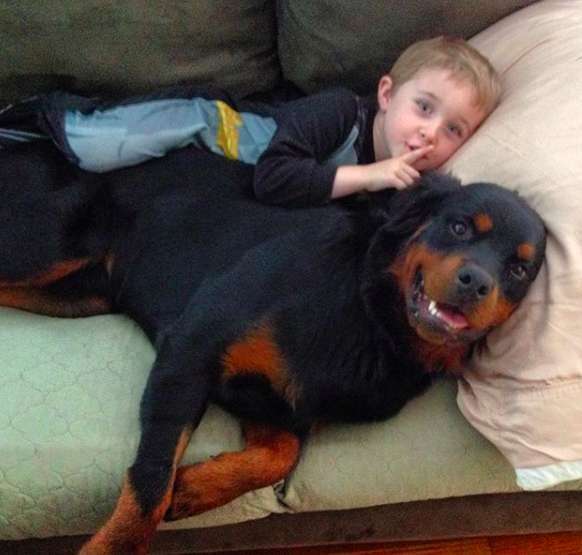 Who wouldn’t fall in love with this adorable rottweiler and huge cuddler? One thing is for sure: whether it’s with Grammy, mom, dad, or the kids, Gus still has a ton of fun adventures to look forward to.